Swine flu is a group of influenza viruses that causes flu in pigs. Usually infections in humans are uncommon. The current swine flu which is infecting people is a new strain of influenza A/H1N1. It is not certain how it developed. Its genetic makeup shows parts of human flu, avian (bird) flu and swine flu. Limited information is available at this stage. It appears that the early symptoms are similar to seasonal flu - cough, fever, sore throat, headache, runny nose, general fatigue and muscle pains. Vomiting and diarrhea have also been noted. Severe cases have progressed quickly (within 5 days) to pneumonia-like illness (shortness of breath and difficulty breathing). Is this swine flu a severe illness? It appears that the virus is capable of causing severe disease. However it is currently unknown how likely it is that those who get sick will suffer a severe illness. Most cases in the United States and Canada to date have been mild. There have been no fatalities. In Mexico there have been fatal cases, apparently in previously healthy young adults. The proportion of severe cases appears to be much higher than with regular seasonal flu. Why the disease appears to be more severe in Mexico is unknown. How can I prevent getting sick? Observe good hygiene. Avoid people who are obviously sick. Be sure to wash your hands frequently. Avoid touching your face, and if you do, be sure your hands are clean. The incubation period is the time between exposure to the virus and people developing symptoms? The incubation period for this strain is not yet known. With seasonal flu, people develop symptoms within about 4 days. However for this new strain of flu, the incubation period may be longer. US CDC is currently advising people to monitor their health for 7 days after possible exposure. There is no specific vaccine against this swine flu as yet. Regular seasonal flu vaccine is unlikely to provide protection against this strain. Nevertheless, those who have not had a seasonal flu vaccine should consider doing so. As a general good health practice, people should make sure all their routine vaccinations are up-to-date. This includes pneumococcal vaccination for certain adults. This vaccine is usually recommended for all people over 65 years old and younger people with serious long-term health problems (heart disease, diabetes, alcoholism, COPD, emphysema, asthma, cancer treatment, HIV/AIDS). Maintain good personal hygiene. Wash your hands frequently. Avoid touching your face. void people who are obviously sick. Stay at home if you are unwell. Contact your health care provider if you or your children develop flu-like symptoms. Ensure their routine vaccinations are up-to-date. This includes pneumocococcal vaccination for certain adults: those over 65, people with serious long term health conditions and people whose immune systems are compromised due to transplants, cancer treatments, HIV/AIDS, etc. If you develop symptoms, seek medical attention. Advise the healthcare facility that you have recently been in an area that has reported swine flu. Parents should take their young children with fever or influenza-like symptoms for prompt medical attention. April 22, will mark the beginning of The Green Generation Campaign which will also be the focus of the 40th Anniversary of Earth Day in 2010. With negotiations for a new global climate agreement coming up in December, Earth Day 2009 must be a day of action and civic participation, to defend The Green Generation’s core principles: Family with windmills: Renewable energy for future generations. 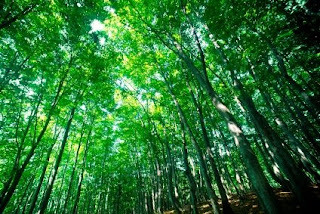 Earth Day Network’s Green Generation campaign is a two-year initiative that will launch in 2009 and culminate on the 40th Anniversary of Earth Day in 2010. Similar to "The Greatest Generation" that confronted the challenge of World War II, who inspired the major societal changes that followed, the Green Generation includes ordinary people who are engaged in individual and collective activities to improve their health, to improve their schools, to participate in building a solution to urgent national and global issues, such as climate change or the world’s water crises. Netbooks are everywhere, on buses, on trains, on planes... and in the classroom. It seems the little netbook has come out of nowhere to become extremely popular overnight. But what is a netbook? Netbooks usually have screens of 10 inches or less, runs Windows or Linux and generally sell for well under RM2500. As its name indicates, the netbook's main purpose is to keep its owner conveniently connected to the net - anywhere, anytime. First introduced by Asustek when it launched the first Eee PC in the fall of 2007. But it was only in the last year when we saw the explosive growth of these so-called mini-laptops. Now we have many computer companies such as HP, Dell, Lenovo... all jumping on this craze for a small portable laptop. So much so, that netbooks now is the fastest growing segment of the laptop industry and is expected to reach 139 million units by 2013. Why is there a sudden popularity for the small netbook? Perhaps the answer lies mainly in our constant quest for mobility. We want a portable device that will keep us connected to the Internet and yet be small and light enough to be carried around all day. A truly ultra-portable device that keeps us connected with family, friends and the web. Netbooks are small with 10 inch displays or less, which make them ideal for students. Plus, they are usually very lightweight - around 2 or 3 pounds. They are compact enough to tuck into your school bag or backpack, and small enough to carry around all day without developing a hernia. As mentioned above because the netbook is so small and compact, it is very portable. A very mobile device that we can use to stay connected to the web and friends. Connectability is one of the main features - you are connected to the web at all times. Most netbooks are designed to be sturdy and tough. They can take a few hard knocks and still keep on working. Students are not exactly the most gentle creatures on the planet, so a sturdy tough machine is needed to handle the demands put upon it. Because of their small size, you will usually get better battery life than with a regular sized laptop. This is important to the student since you may have to go all day without a chance to re-charge the battery. Long lasting battery life makes the netbook the perfect student laptop. Although small, these mini-laptops still sports some very impressive specs. Many now c ome with at least 1 Gig of RAM and Intel Atom processors. There are even some with Solid State Hard Drives which make them more durable and less likely to be damaged. Most use Windows XP - newer models debuting this year with the Nvidia's Ion platform may have Vista or Windows 7, but still don't expect the kind of performance you would get from a regular laptop. While storage on netbooks is constantly increasing, it is still nowhere near the kind of storage you will find on a regular sized laptop. Usually, most devices have around 30 or 60 Gig hard drives which should be adequate for most student's needs. Many newer netbooks have 160 Gigs of storage. Perhaps, the main reason netbooks make the perfect student laptops is the low price. Students are usually on a very limited budget and the low price-tag is a perfect fit. Many perfectly adequate machines are now priced in the RM2000 to RM3500 range - while many good ones go for well under RM2000. Plus, prices are steadily dropping so almost any student can now afford a netbook. 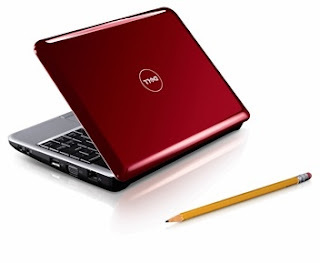 As you can plainly see, the netbook does have many features to make it a perfect student laptop: small size, very portable, excellent connections, very sturdy, long battery life, good performance, adequate storage and most of all, a very affordable price almost any student can take advantage of. Overall, netbooks are well suited for the classroom and the student. The eight dropped are Datuk Seri Syed Hamid Albar (Home), Datuk Seri Azalina Othman Said (Tourism), Senator Tan Sri Muhammad Muhammad Taib (Rural and Regional Development), Senator Datuk Amirsham A. Aziz (Prime Minister’s Department), Datuk Seri Ong Ka Chuan (Housing and Local Government), Datuk Mohd Zin Mohamed (Works), Datuk Seri Zulhasnan Rafique (Federal Territories) and Datuk Shahrir Abdul Samad (Domestic Trade and Consumer Affairs) who had resigned. Also not included in the new line-up is Umno Youth chief Khairy Jamaluddin, but his rival Mukhriz Mahathir has been named a deputy minister. Khairy is the only head of the three Umno wings not appointed minister. - He is the eldest son of Abdul Razak Hussein, Malaysia's second prime minister. Abdul Razak is credited with rescuing the country from the brink of disaster following racial riots in 1969, and laying the foundations for modern Malaysia. Abdul Razak expanded the ruling alliance and created what is now known as the National Front. He also introduced the New Economic Policy which gives ethnic Malays preference in jobs, education and business, to narrow the wealth gap between poor Malays and the richer Chinese minority. - Najib, one of the youngest to be elected into Malaysia's parliament, won his father's constituency of Pekan in 1976 at the age of 22 after Abdul Razak died of leukemia. Najib retained the seat in six subsequent general elections, and also served for a term as chief minister in his home state of Pahang. - Najib was groomed for political leadership. 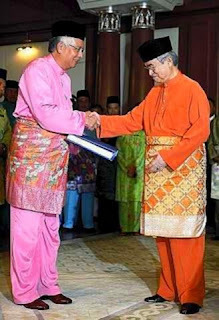 He served for 22 years under the administration of former premier Mahathir Mohamad, who has said he owes a debt of gratitude to Najib's father for his ascent to the top post. But Mahathir, in an interview with Reuters last month, said Najib's entry into politics was accidental. - Najib was a firebrand in the 1980s, heading the youth wing of the main United Malays National Organisation party at meetings where people called for Chinese blood on the Malays' keris (traditional knives). But he has now pledged to unite all races and urged Malaysians to close ranks. - An avid golfer, he has a network of friends and confidantes from the country's elite business circle, whom he often taps for input. His brother, Nazir Razak, heads CIMB (BUCM.KL), Malaysia's second-largest bank. 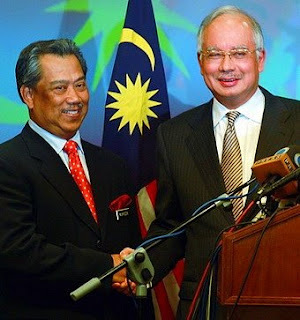 - After being appointed deputy prime minister in 2004, Najib was given a broad portfolio of responsibilities including oversight of FELDA, a state-run cooperative of oil palm smallholders developed by his father. FELDA is one of the world's largest plantation owners and managers, owning over 800,000 hectares of rubber and oil palm estates. Najib provided infrastructure and benefits for the 115,000 mostly Malay landless families under the scheme and developed a strong network of grassroots support among the rural poor.